What makes the best hair restoration doctor? How can you be sure that you have chosen the best hair loss doctor to take care of your hair problems? Well, while most specialists working in this field are honest professionals who put their patients’ interest before anything else, there are also some who are not as trustworthy as the others. So, how do you make sure you only deal with the best experts in the field? Here are some useful tips that you may want to consider. Keep in mind that first impressions count – a lot. The way your doctor’s staff treat you over the phone, the physical condition of the clinic and your initial impression of your doctor can tell you a lot about what you can expect from your treatment. Trust your instincts – it can help you tell the difference between a good doctor and a scummy one. Choose a caring and compassionate doctor. To make sure that you are in good, capable hands, choose a doctor who takes the time to know more about you, your family and your lifestyle, listens to your concerns and treats you with respect. He should likewise educate you about your treatment choices once he has thoroughly examined and assessed your condition. Look for the proper credentials. For best results, look for a hair restoration expert who has extensive experience in the field and has the necessary accreditations and certifications that qualifies him for the job. Seek personal recommendations. Do you have any friends or relatives who have undergone the same procedure? If you do, you may want to ask them about what their experience was like and whether they can recommend a good hair restoration doctor. 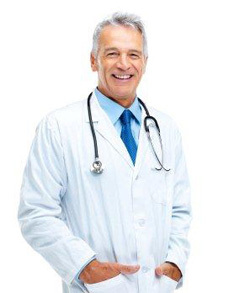 You may also want to search online to see what former patients say about your chosen doctor. The ability to choose the best hair restoration doctor can help you get the results you need so make sure you keep these tips in mind as you do your search. Make sure you choose the best hair restoration doctor to take care of all your hair problems. Contact Dr. Mark DiStefano’s office via this online form or call us at 1(888)609-4247 to arrange a free professional consultation today.